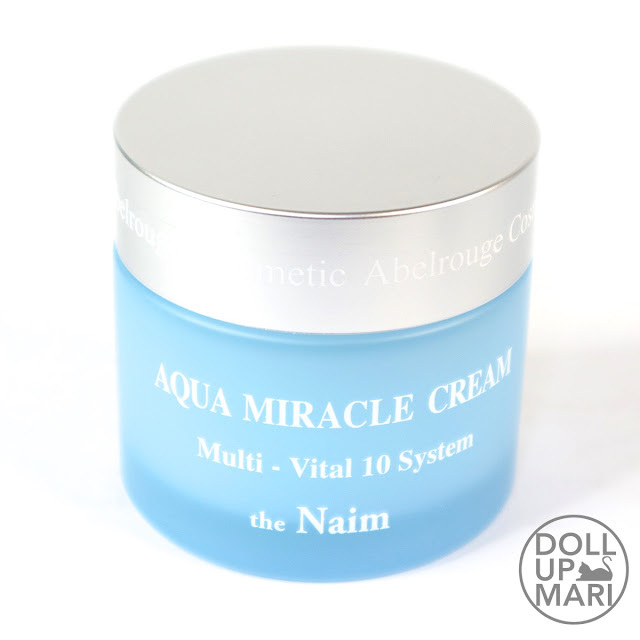 Okaaay so I know y'all got hanging the other day, wondering about Abelrouge's other cream. So today's the day I do the review as well! This is Abelrouge's Aqua Miracle Cream. This is perhaps the most unique cream formula I have ever tried. My skin feels like it's drinking gallons of water, but it never feels heavy at any point. This is among my favorite skincare products since receiving this sample from Charis last August. I've had a good few months to see how this product works, and I can say that this is heaven sent! Okaaay let's get down to the review! Packaging and Scent: The same with the Miracle Sleeping Pack 2, I wish that this, too, had better packaging. This is such an awesome product and the packaging is not justifying nor signifying that, if you ask me. The scent, though, is sooooo heavenly!!! If you are into shower fresh and cottony powder scents, you will reaaaaally love the fragrance. It's light and so uplifting. I always love coming home to applying this after a tiring day because I love cottony scents so much. Product Texture: This has a very, very, very unique texture! This is the first of its kind! This basically is like a medium thickness whipped gel. It's not really the conventional definition of cream. It's much dreamier and lighter than that. But the moment you apply it, it's a lot like wetting your face and applying mattifying primer at the same time. The product promises to create a moisture barrier for the skin, and how I described it is more or less how the technology manifests. I want to be careful about using the word barrier because it connotes a heavy feeling on the skin. This is really lightweight on the skin and doesn't feel gunky. Imagie rubbing water on your skin and then the water just never dries out and you just keep on absorbing and absorbing the water at the same time. While your skin is absorbing it, you'll find it wet to the touch whenever you try to touch the area where it has been applied. It's like the cream sets base on the skin and manufactures water out of nowhere. It's so unique that it is extremely difficult to describe. I will admit that it took me a while before I got used to it. But after I got spoiled by this when I saw the effects, I saw myself subconsciously looking for the product's texture. Hydration vs. Oil: This is EXTREMELY hydrating. It's like watering your skin with a big, full watering can. It's craaaazy. Whenever I apply this, I suddenly realize how dry the other parts are because of how hydrating this is hahaha. This never feels oily at any point because it feels like your skin's drinking so much water and is getting so refreshed. 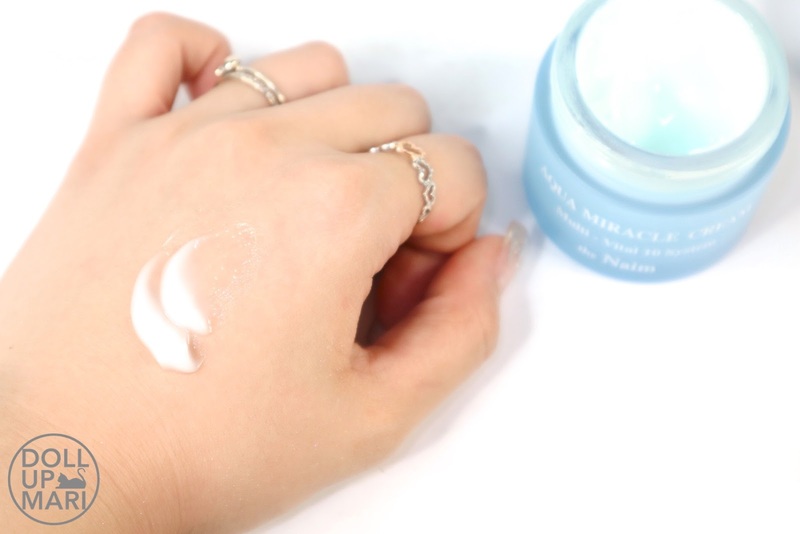 The cream itself is not cool when applied, but there is this unique sensation of refreshment because of how hydrating this is. 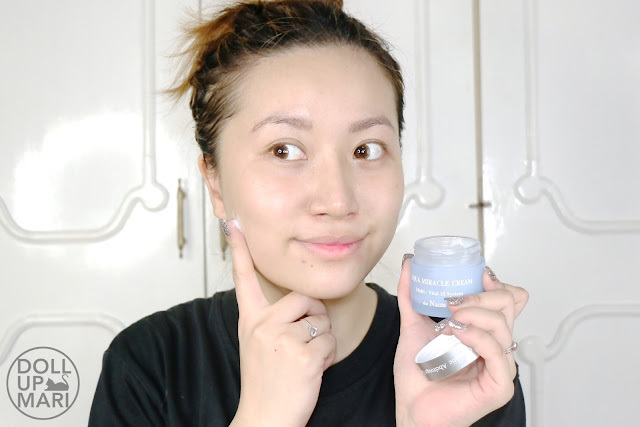 This redefined Korean skincare for me because I never thought that I would actually yearn for such intense hydration even in such a hot climate. I learned what hydration actually is, that it's not the sensation of overloading the skin with too much products to feel that one has applied enough, as is customary with Korean skincare routines. It's about actually feeling the skin absorb the product and feel it come to life with the product. Skin Texture Refinement: This, like the Miracle Sleeping Pack 2, provide good texture refinement. As is usual with most high end skincare provided the user is religiously using the products, this is good. I see that with this product, my whiteheads aren't so bad. Weeeell it also depends. 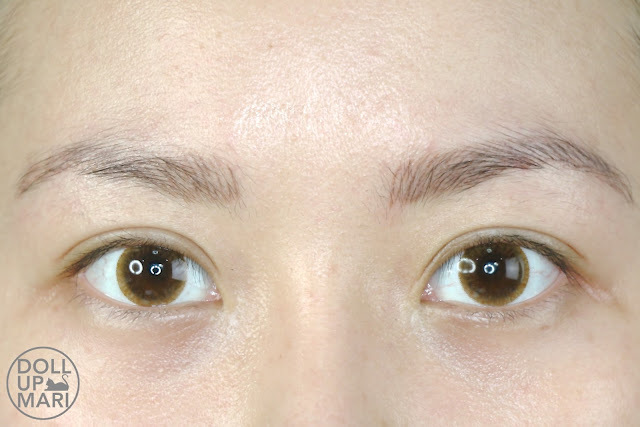 I feel like some Koreans and Japanese believe that whiteheads and blackheads are due to poor skincare, because if the skincare were good, then the pore elasticity would improve and wouldn't be stretched out all the time. But sometimes here in the Philippines it is sort of often blamed on the facial wash or is remedied with facials or peels. So yuhh it depends. Radiance Boost: This is crazy. When you use this, not only will you feel your skin "drinking" water, you'll also see it! I finally understand that the radiance that Korean actresses give off is actually humanly possible for us mortals wahaha. But of course, the user must also religiously be using skincare everyday and more or less should have a good routine in place, too. 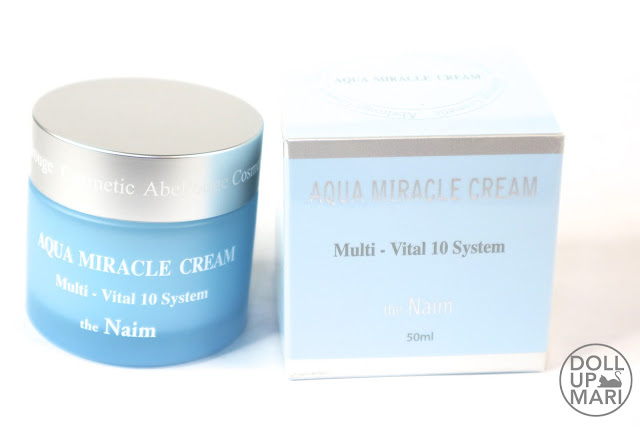 Value For Money: This cream retails for $54.99 from Charis. For me, comparing this to the Miracle Sleeping Pack 2, this has sooooo much more value for money. 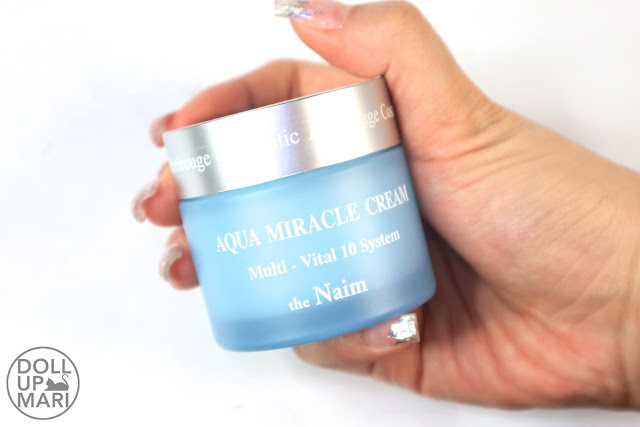 This has such a unique formulation, and the hydration power is even more potent than that of Miracle Sleeping Pack 2. To add, this also has such a unique texture that I think plenty of people who like the feel of velvety moist skin will love this. 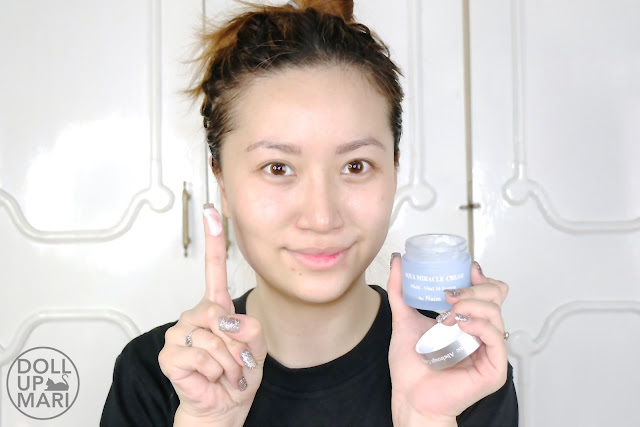 This product is also sweat resistant due to its texture, which is why I still get to harness the benefits of this item even when it's very hot. I can use this wherever in the world I may be, regardless of the climate. And I think that that makes it a very practical investment. Overall Feedback: This is a very very unique skincare product that taught me what real hydration is, versus overnutrition or skincare saturation. It's apparently possible for one's skin to be dehydrated even in such a humid climate. This does just such a good job of plumping up the skin and hydrating it waaaaay beyond what other skincare products can do. I learned so much in skincare reviewing because of this; this has now become my gold standard in what hydration is supposed to be about. Hydration need not be through gunky, thick, hot, and sticky products. Thick cream does not equate to good cream. Because the best cream can actually be a light whipped gel-cream hybrid like this one. I find this to be a really good investment despite the price tag, and not just because I am a Charis affiliate. I really will not hesitate to say that this is an exponentially better product than the other one from Abelrouge. This cream is 50mL, and while the jar is so plain, it thankfully is compact. When you apply it, it doesn't feel heavy like a body butter. It's its own kind of whipped gel-cream hybrid. The formula does flow if one shakes the jar vigorously to one side or something like that. But the cream has peaks and stands up on its own. And yes this is what I mean that it can stand up on its own. It doesn't flow away when I do this kind of pose. I love applying this because the texture is so unique. And like when I apply this at like 7PM or so, when I recheck at midnight everything's been absorbed and I can see and feel that my skin is so hydrated. Up close, this is how it looks like right after application. I've never had perfect texture because I don't want to do peels and facials, but I'm very happy with the results that I can achieve through skincare products like this.